Please note that I have reduced the number of painting workshops at my studio this year; choosing instead to teach from other venues please see dates on other page. (or whatever fits!) There may be additional courses added throughout the year. I am happy to discuss running workshops for art societies or groups by arrangement. 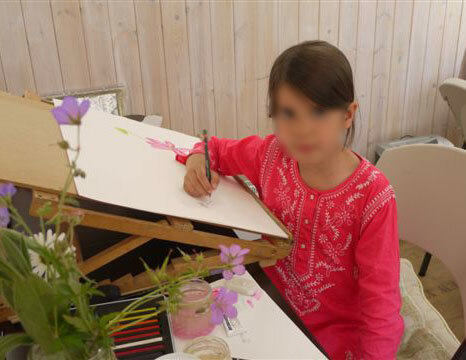 These can either be free style flower painting or more formal botanical workshops to suit the requirements of each group. Luton Hoo Walled Garden - Luton Hoo’s Walled garden offers much inspiration for artists who can purchase an access card for a nominal fee to paint in the garden on Wednesdays and Saturdays. Artists and Societies who wish to bring a group to paint in the garden and in addition take advantage of expert guidance from Sandra can contact her for daily rates and opportunities. Mother and Daughter days: Recently Sandra has run a number of successful mother and daughter days. 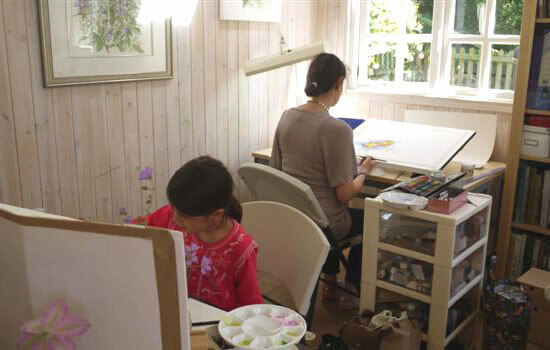 This is a great opportunity for mother and daughters to spend quality time together in a shared experience at Sandra’s Studio under her expert guidance. The classes have proved highly successful this year with the youngest and particularly talented pupil being 6 years old although any age upwards is acceptable. Weather permitting paint in the garden and sit in the restful white garden to have your lunch. The days have been for individual mother and daughter days to date but two friends and their daughters would be considered. Dates and prices on application; a lower rate is offered for children and full or half days can be arranged. 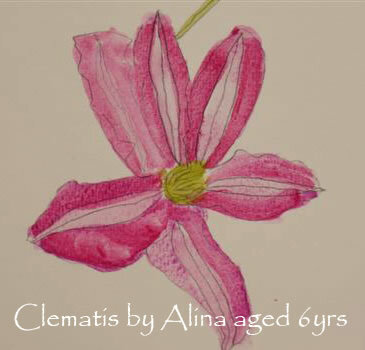 Groups and Art Societies: Sandra is happy to consider invites from art groups and Societies to run workshops at their preferred location for small groups wishing to progress their botanical painting skills. Prices on application, to include travel expenses and/or accommodation if too far to travel in one day. All the workshops are designed to develop and nurture your individual skills within the framework of the chosen medium, to gain confidence and to explore your potential through sympathetic tuition. The personal help give is tailored to suit your individual style and improve your standard. Classes cater for all levels of ability, although absolute beginners may prefer to sample a mixed media freestyle session before trying the more structured botanical style. The choice is yours. Whichever course you select, your objective should be to enjoy the experience and to feel inspired to go further. Students should provide their own materials. Drawing boards, water pots and plant specimens are provided. A range of papers is available for sale if required. Artists cards and prints for sale. A list of materials and equipment can be supplied if required. All courses can be booked directly with the organisers as shown above under 'schedule' or on the main workshops page.